The A4 and S4 sedan is elegant, sporty and intelligent. With cutting-edge technology that includes the optional innovative Audi virtual cockpit with its high-resolution 12.3-inch LCD screen, as well as the optional Bang & Olufsen® 3D Sound System and LED headlights. It goes without saying that this luxury sedan really is in a class of its own. With standard Audi smartphone interface, connect your mobile phone to the USB port and interact with navigation, phone, music and other selected apps on the MMI menu. Even more impressive, this sedan also comes equipped with driver assistance systems that keeps you safe on the road. 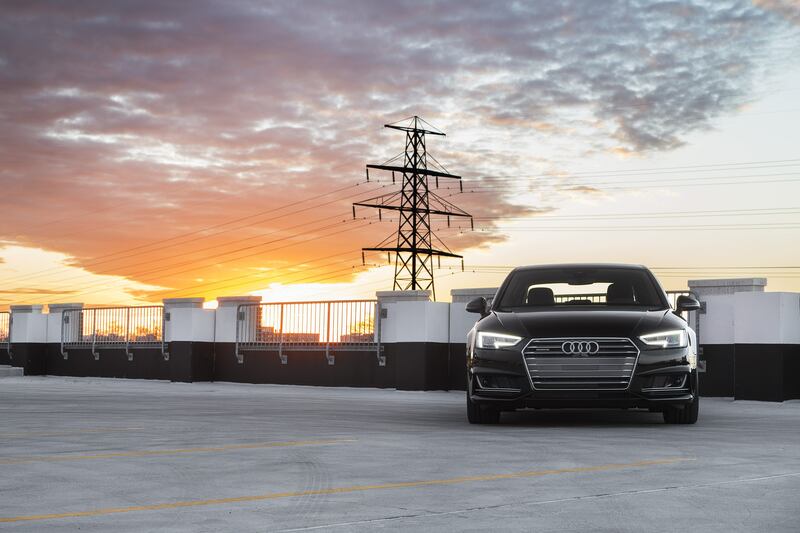 The new A4 boasts 15 percent more horsepower, 252 hp and 273 lbs/ft of torque to give you a superior driving experience. The all-new S4 hosts a 3.0-litre TFSI V6 engine with 354 hp that will take you from 0 to 100 km/h in as little as 4.7 seconds. The all-new Audi S4 features iconic S details, like the distinctive aluminum finished exterior mirrors, lowered suspension and sporty quad exhaust outlets, the S4 is not afraid to show its sporting intentions. Experience the unparalleled traction and control of quattro all-wheel drive. Offers end July 31, 2018.